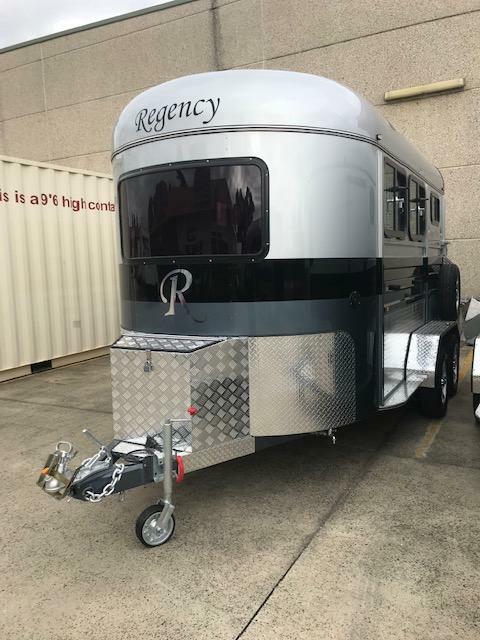 New 2019 Regency 2Hal-Lux - In Grey, Black stripe, Silver top. Kitchen, water pump/sink, fold up beds, 240v power system, fully lined roof, plus the signature Regency re-enforced aluminium floor and build quality. 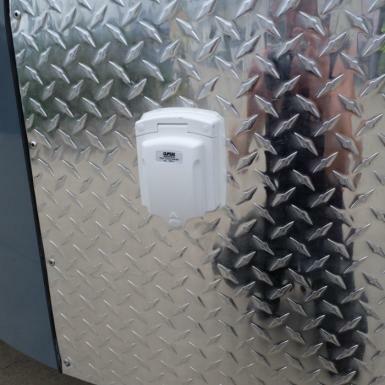 Price Only $19,995.00 supplied with Blue Slip. 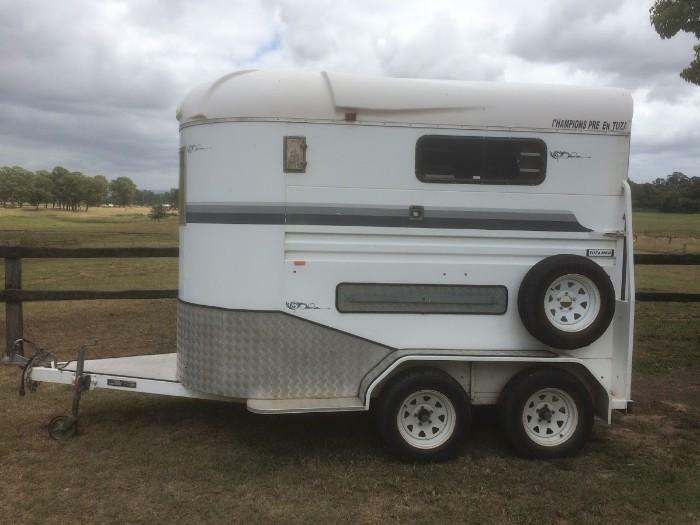 Be quick, price rise coming. 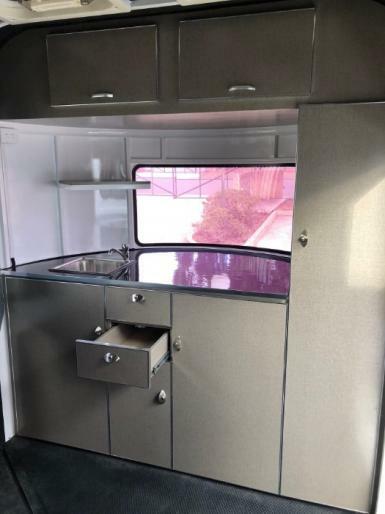 Premium Kitchen Cupboards, Sink/Tap Exterior Tap, Sockets for a Fridge & Microwave, External 240v Socket, leading to two Internal Sockets with Circuit Breaker protection. 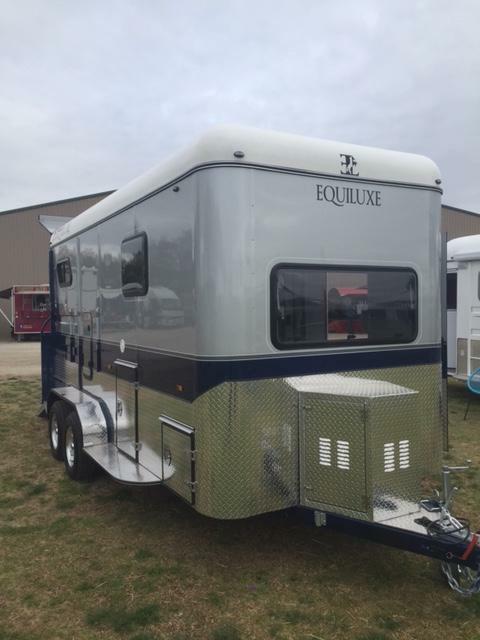 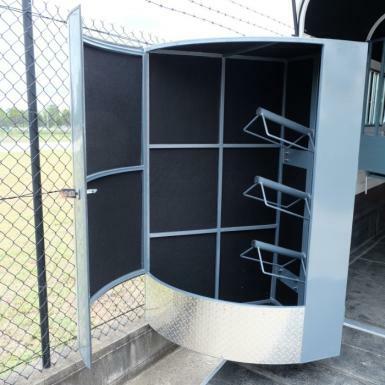 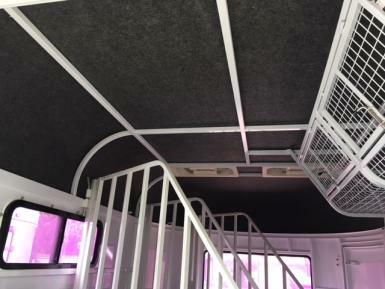 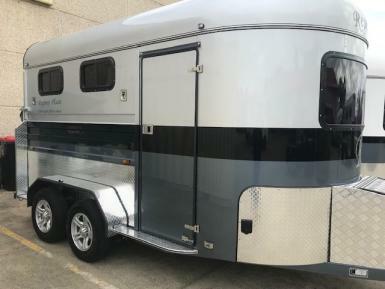 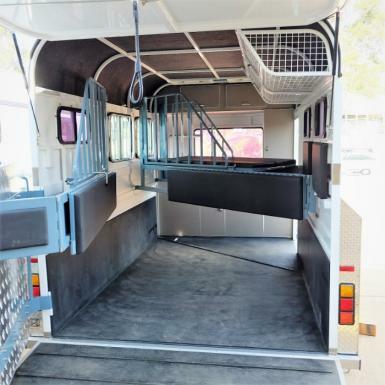 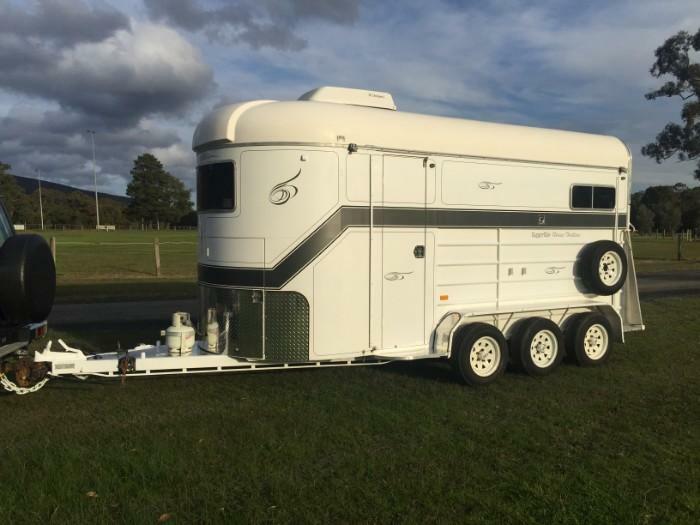 Removable Stallion Bars, Fully Lined Roof, Water Tank/Pump External Tap, Large rug racks. 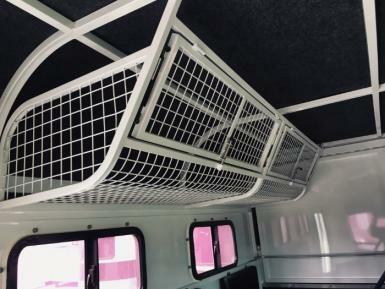 Plenty of storage and hanging space. 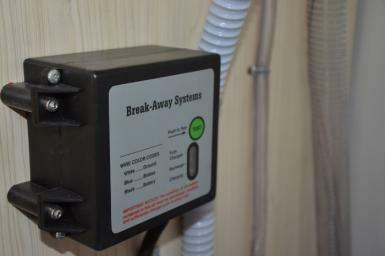 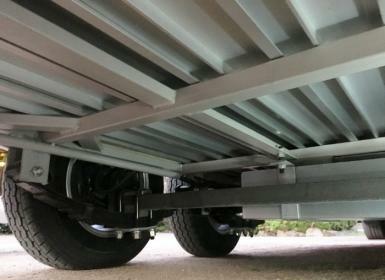 Led lights, Break away stop system, mated to double axle electric brakes rated to 2 Ton each. 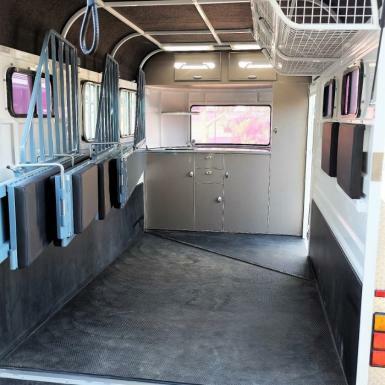 internally, large swing out tack box with saddle racks and bridle hooks, can be locked & left outside and rear doors closed. 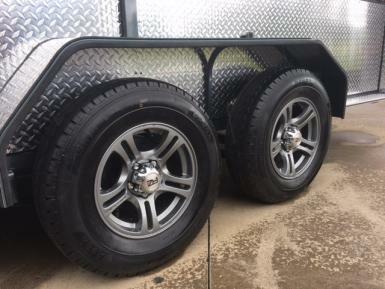 5 x Alloy wheels, with lockable wheel nuts. 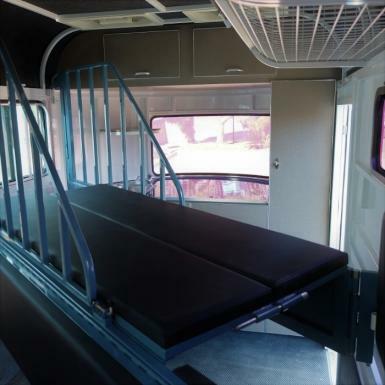 This float can have an Awning, Fridge & Microwave as additional extras, if needed. 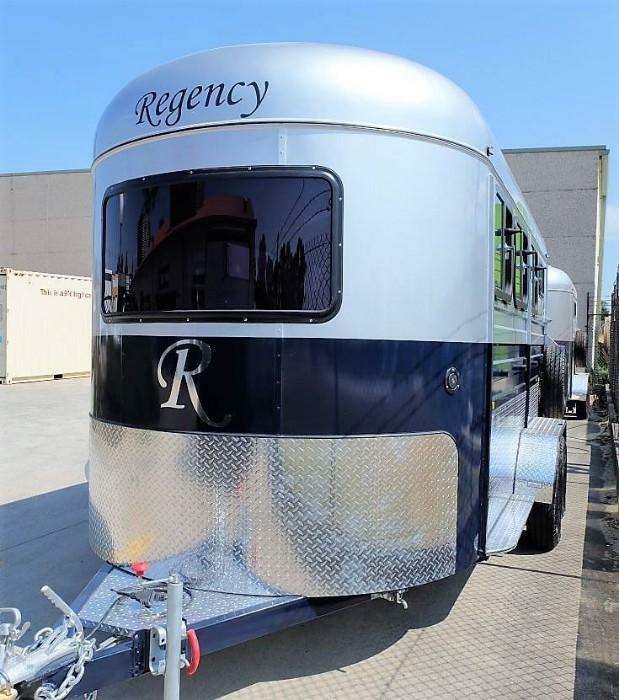 As with all Regency Floats this one has our re-enforced Aluminium floor, which will not rot, on top of 4mm RHS hot dip galvanised Chassis, galvanised steel body, fiberglass roof. 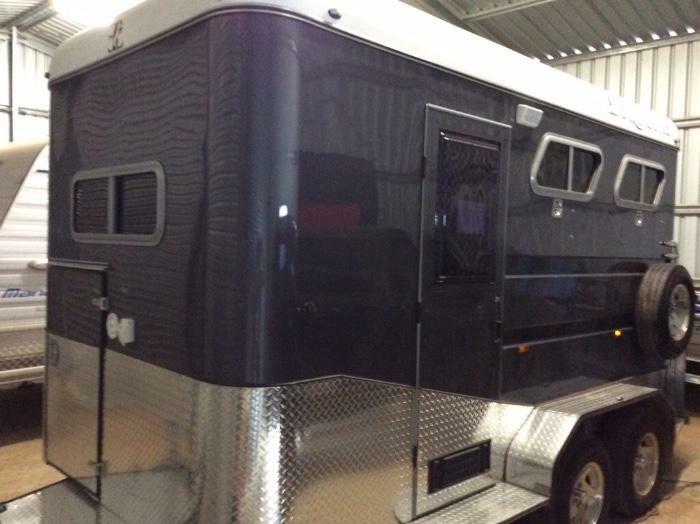 4 coats of metallic glass paint, on primed surface. 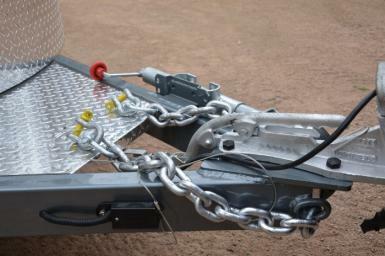 Roller rocker suspension, with easily accessible grease points. 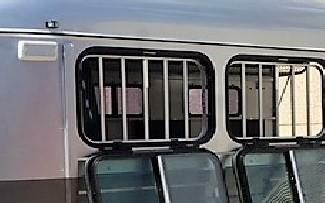 These floats are built to last.